For over a decade artist and craftsman Seth Brayer has employed his passion and skill with fire and flame to bring unique and innovative designs to the ever growing community of glassblowing artists and aficionados. 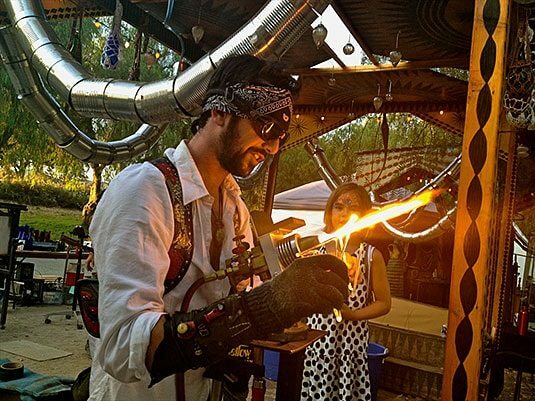 As a self-taught multimedia artist, his integrated mechanical process allows him to focus on utilizing found and sourced materials and turning them into sustainable up-cycled functional art in his new body of work entitled “PyroCycled”. Seth’s dedication to his craft and commitment to continuously challenge his own creative spirit has resulted in a series of finely tuned pieces that clearly reflect his personal aesthetic. He works on every aspect of his installations by hand making all of the blown glass elements, metallurgy, woodwork, electrical rigging, design and more, all of which are handmade with his proprietary process. Seth’s innovation and creativity are not limited to his glass work. Before he stared blowing glass he spent nearly a decade traveling the world working for the Discovery Channel as an underwater videographer. During this time he developed equipment to capture angles that few other underwater surf or dive cameramen had even considered at the time. Seth currently resides in beautiful Santa Barbara with his two kittens, LuciFurr and Amalia in what he affectionately calls KittyCity. The creation of new work through innovative methods will always continue to feed my soul and I am blessed to be able to express my artistic vision utilizing a medium as intriguing and challenging as molten glass. The depth and scope of my creative journey have helped me to recognize that I am driven to create art in order to be a part of something bigger than myself and that I highly value being part of a growing community of people who recognize that creativity and consciousness go hand in hand. I genuinely enjoy making art that has the potential to enrich people’s lives both culturally and socially, by recognizing the importance of my relationship with the materials that I use and the creative processes involved in this centuries old art form with a modern twist. In my most recent series entitled “Pyrocycled” I put more than a decade of experience as a glassblower into bringing something innovative and unique to the art community. Using a self-taught set of techniques and processes, I have focused my creative energy on utilizing the already existing and overly abundant supply of previously discarded glass bottles which I have found a way to reshape utilizing a furnace and burner that I designed and built in order to create one-of-a-kind mixed media pieces ranging from chandeliers to functional and sculptural elements. 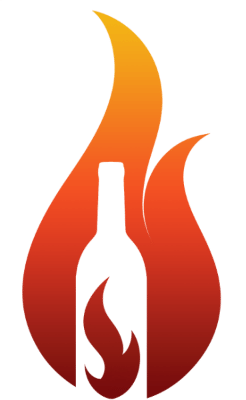 The shape of each individually re-blown bottle is created in the heat of an intense fire, and when they cool down each one captures an amazing moment in time… it is a moment that is undeniably rich with both inspiration and creativity.